Date Masamune, while he is widely known as a Sengoku Warrior, he is still recognized for his excellent skills in politics that can potentially surprise the politicians today. 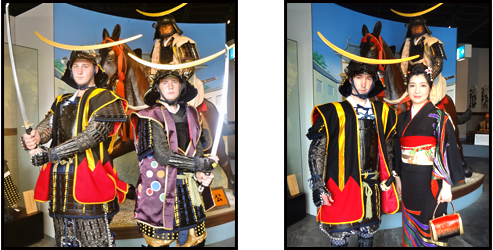 Our museum aims at reproducing the life of Date Masamune with a real-scale candle doll of himself. 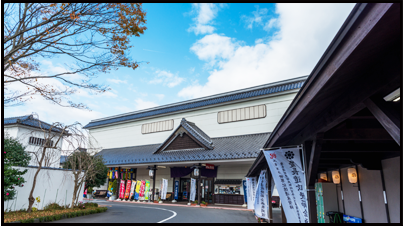 In Matsushima, where our museum is located, its bay area with the reputation of the most beautiful bay in the world awaits the visitors with a number of places that are famous in connection with Date Masamune including his Date family temple called Zuiganji (temple). Whether you are fond of history or not, please experience the heart of Date Masamune in beautiful Matsushima. Approximately 25 minutes from Taiwa I.C. Approximately 5 minutes from Matsushima Kaigan I.C. Masamune was born as the eldest son in the Date family. It was when he was at the age of five Masamune got smallpox. Fortunately, it didn’t take away his life but it took away the sight of his right eye instead. Through education by Kousai Osho and Katakura Kojuro, Masamune grew up tough and strong. He also showed talent in poetry and tea-making. 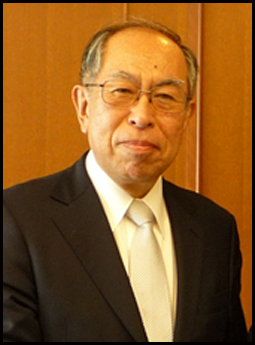 He was actively involved in battles when he was young, which eventually made him the most powerful feudal lord in O-shu area although it was Toyotomi Hideyoshi who came into power over Japan after all. After Tokugawa came into power, Masamune built a good relationship with three generations of the Tokugawa family (Ieyasu, Hidetada, and Iemitsu), receiving a high reputation from the shoguns. Masamune also put so much of his effort into improving farmlands and developing cities. 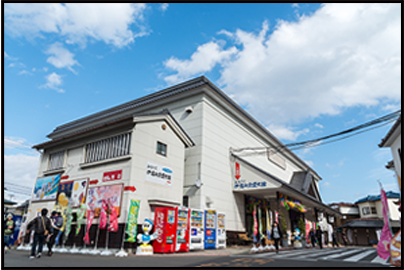 It is not exaggerating to say that it was Masamune’s hard efforts that contributed to the beautiful streets of Sendai City and making Miyagi Prefecture one of the biggest rice-producing districts in Japan today. Masamune was also a decent politician who had a global mind and sent ambassadors to Spain and Rome to open up trade with Mexico and Spain. 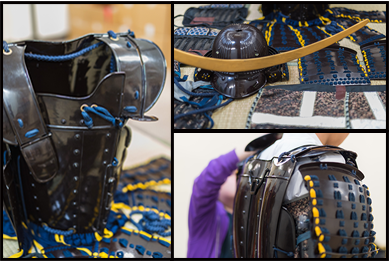 Warrior Armor Experience You can try on “Kuro-Urushi Gomai Dougusoku” (Warrior armor with five different parts painted with black lacquer) that was made by a professional artist who makes warrior armors for Japanese TV dramas and movies. Please feel the structure and the weight of a real warrior costume. 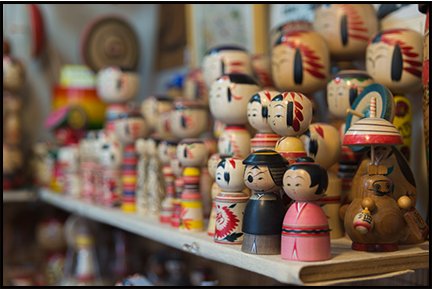 Why don’t you try making your own Kokeshi doll, a traditional wooden art of Japan, that can’t be found anywhere else in the world? The finishing process will be done by professional artists! It could be your favorite character, mascot or even yourself! Make your own Kokeshi doll with your favorite design!